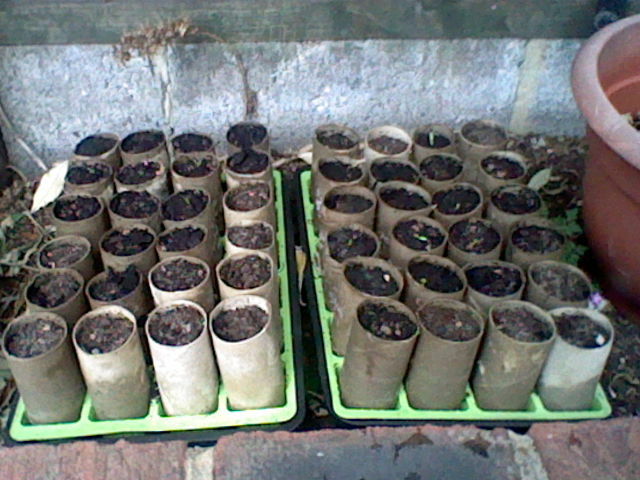 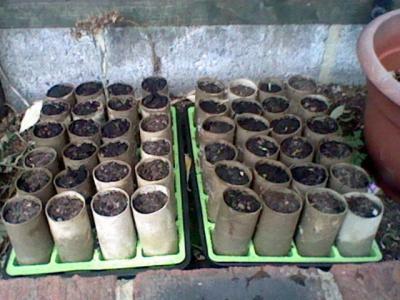 Parsnip seedlings in toilet roll tubes starting to sprout. 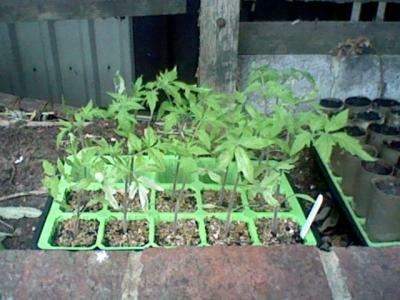 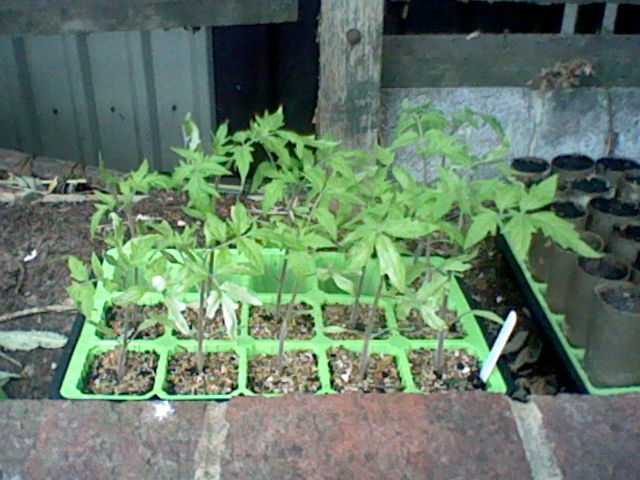 Rose de Berne tomato seedlings/plants, a bit rough looking as they weren't hardened off properly. 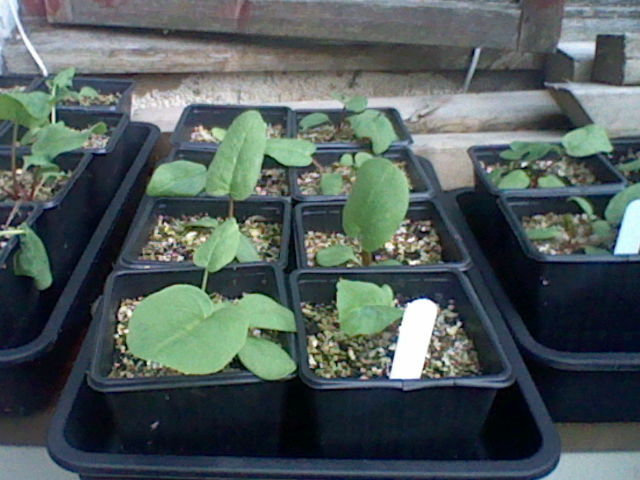 Victoria rhubarb seedlings/plants, still young and won't be planted out until September.